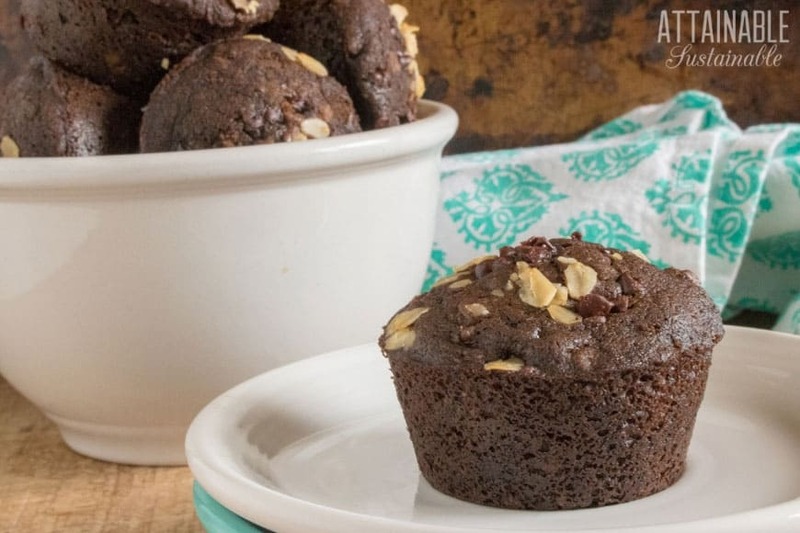 These chocolate-chocolate chip muffins (that’s double chocolate chip muffins!) are a perfect sweet breakfast to have with a cup of coffee in the morning! Here’s the great thing about muffins: They’re easy to pack into a lunch or picnic basket. Also? You can make muffins in so many different flavors. Made with whole food ingredients, muffins generally have less sugar than a frosted cupcake. This decadent chocolate muffin recipe calls for just a half-cup of brown sugar along with a small amount of chocolate chips for sweetness. If you want to increase the protein when serving these muffins, spread on a bit of peanut butter. Chocolate and peanut butter is a match made in heaven! Plus, adding a bit of peanut butter means you’ll feel full longer. 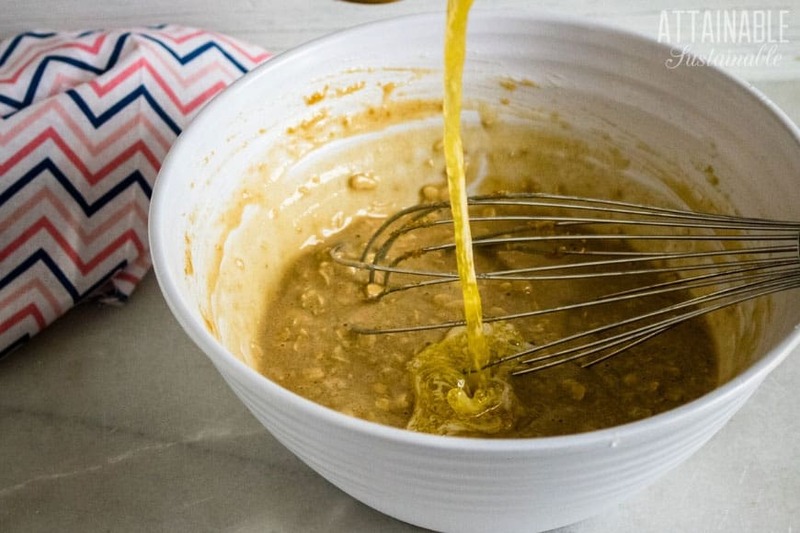 As with all muffin recipes, when adding wet ingredients to dry, don’t over mix — stir just until combined. Leavened with baking soda and baking powder, this falls into the “quick bread” category, even if the recipe doesn’t come in loaf form, like this chocolate zucchini bread. 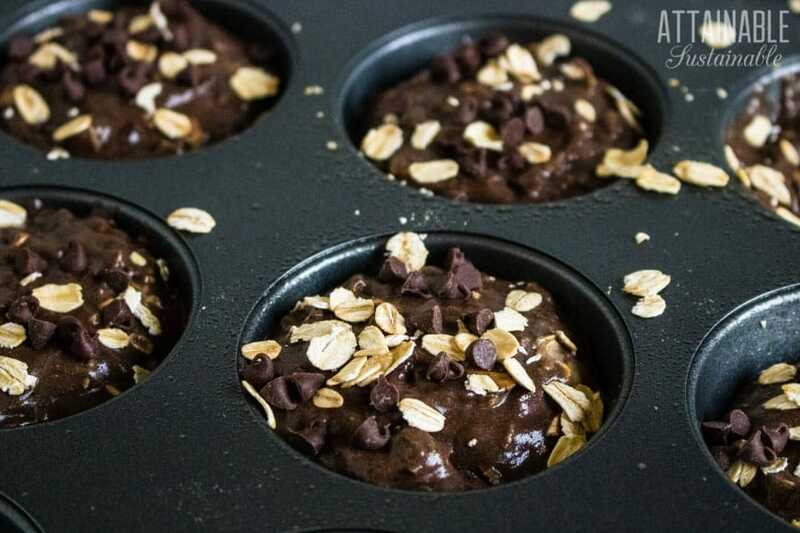 These chocolatey muffins are made with oats and chocolate chips for a sweet -- and healthy(ish) -- snack. 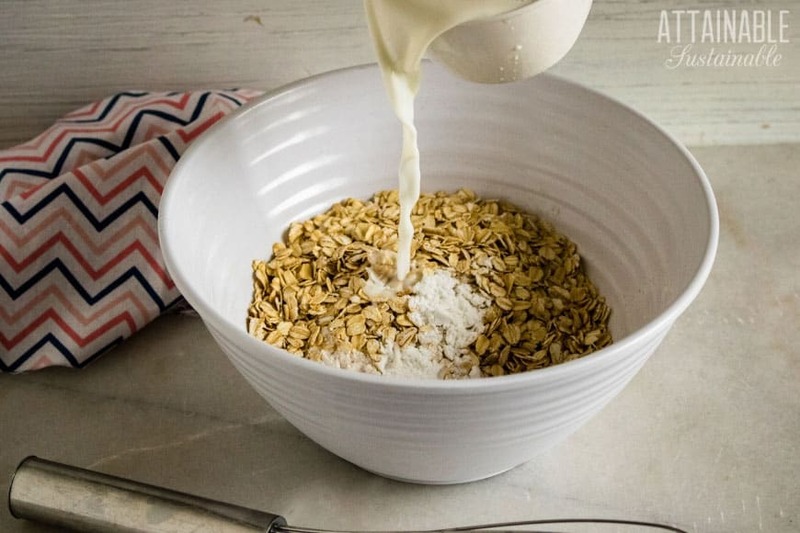 Mix dry ingredients until well combined. Stir in sugar and wet ingredients, mixing to combine. Divide batter between 12 greased muffin cups. 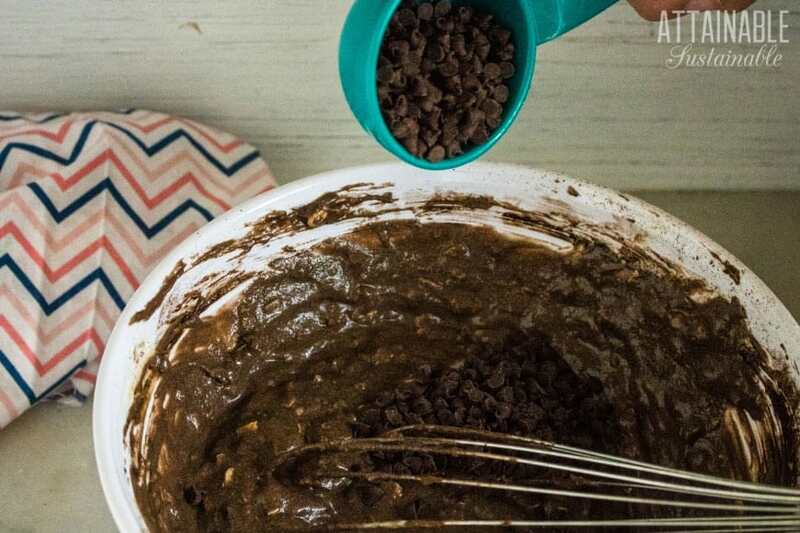 Sprinkle with 1 tablespoon oatmeal and mini chocolate chips. 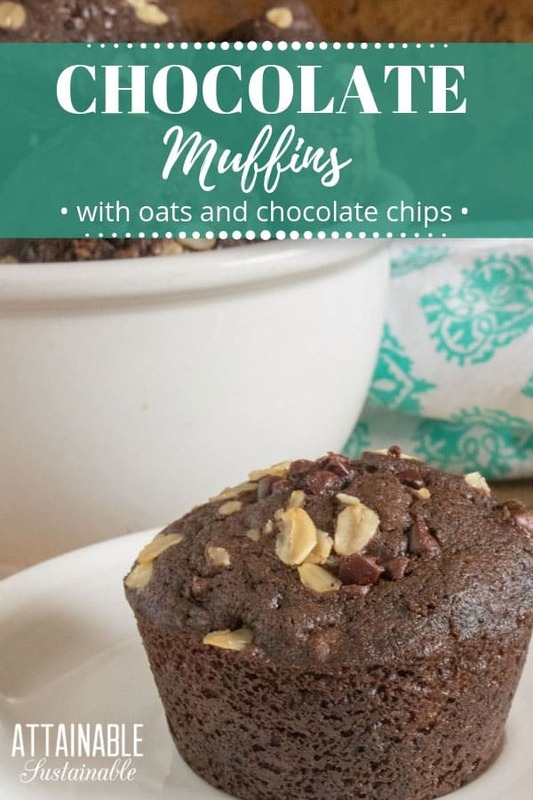 Feel free to use your favorite nut milk in this muffin recipe rather than dairy milk, if you're avoiding dairy. You can also use coconut sugar instead of the brown sugar. Claudie Evert is passionate about living lightly on the earth. She digs in the garden, cooks food from scratch, and will -- someday -- master the art of picking out a ripe watermelon.